The first customer cars landed in the country on Wednesday 2nd December, arriving at Melbourne’s Appleton Dock. Three more ships carrying more customer cars are expected within days. 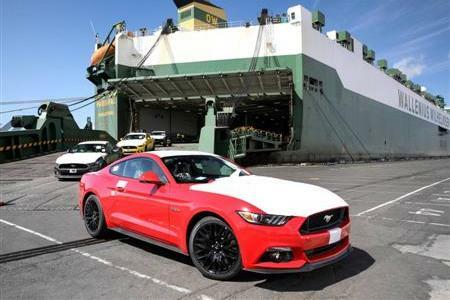 Ford and its dealers across Australia have been inundated with inquiries and demand for the all-new Mustang Fastback and Convertible, with the order bank for one of the world’s most recognisable cars now sitting around 4,000 vehicles with more than 80 per cent paid deposits. These orders account for the first full year of vehicles to be sold in Australia through 2016. 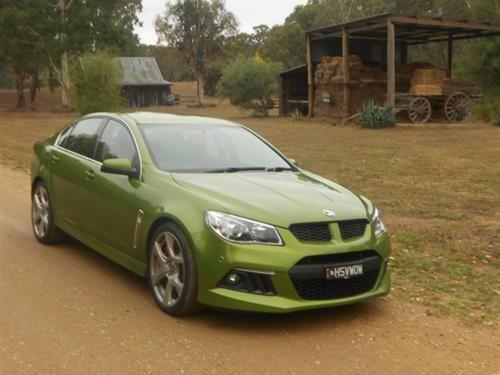 Like North America, early interest has been in the V8 GT models, with 86 per cent of customers favouring the V8. However, once the initial order banks are filled, Ford expects the EcoBoost models to be popular with customers who value performance but have an eye on fuel efficiency. A similar situation surrounds the Fastback and Convertible split. There has also been more initial demand for the Fastback over Convertible, with around 88 per cent of Australian customers selecting the Fastback. Visually, the all-new Mustang is unmistakable. It has retained its classic shape, with a long sculpted bonnet and short rear deck, but with contemporary changes.